This past month Frank Livorsi from Darien, IL was drawn for the perfect attendance drawing and is now qualified for the National Championship at the Stratosphere in Las Vegas on January 27th, 2018. Joining Frank will be Mike McFarland from Randolph, MN who was drawn for the 2 pair or better drawing in September. Congrats to both. 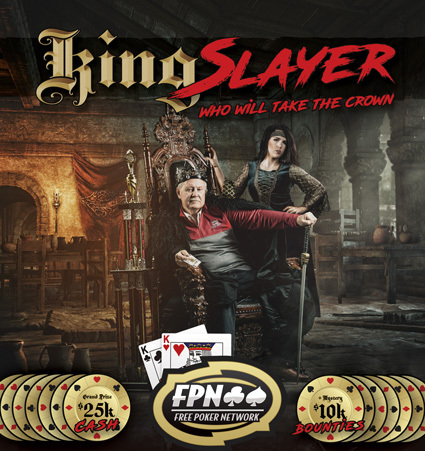 Don't forget another qualifier will be joining them on FPN online this Sunday as the winner of the tournament will get him or herself qualified. 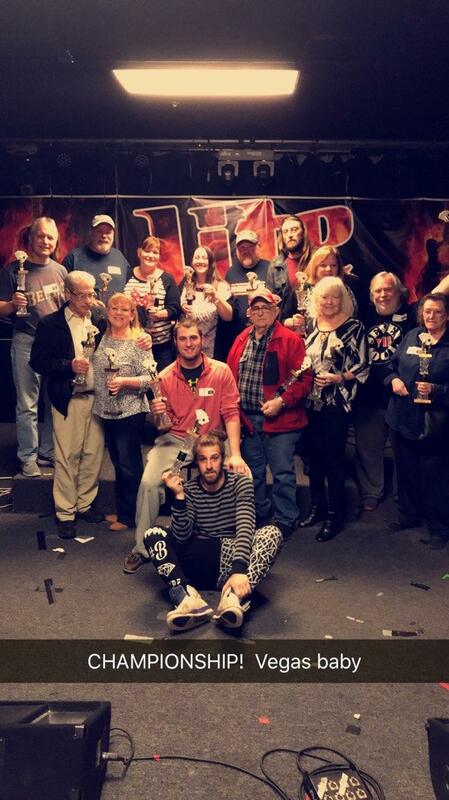 Here are the latest winners for this month - Barbara Perricone from Roneoville, IL turned in four 7's to get qualified for Nationals. Sue Hauglid from Detroit Lakes, MN was drawn for the 2 pair or better. 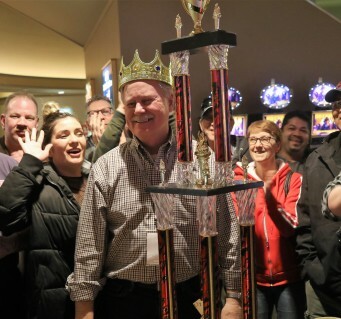 Andy Lagarde from St. Paul, MN won the spring regional tournament online and Mike Marek from East Grand Forks was the first of the month winner. Mike has now double qualified for Nationals getting two starting stacks. 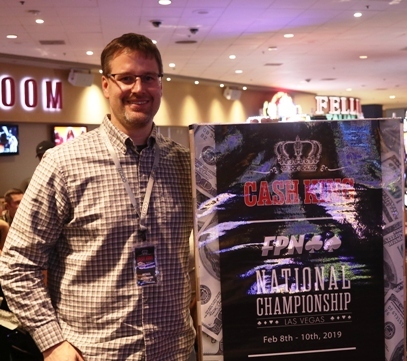 Last, but not least Jason Zuchara from the Leader Bar in Minot, ND was the perfect attendance winner and won himself a $150 buy-in to a local tournament. Congrats to everyone! We are a little behind and will be drawing this months winners shortly, but last month the big winners were Tom August from Oak Lawn, IL and Larry Hoffman from Norfolk, NE. Tom was the 2 pair or better drawing winner and is now qualified for the Rounders National Championship. Larry was drawn for the perfect attendance in June playing all four weeks at Uncle Jarrol's. 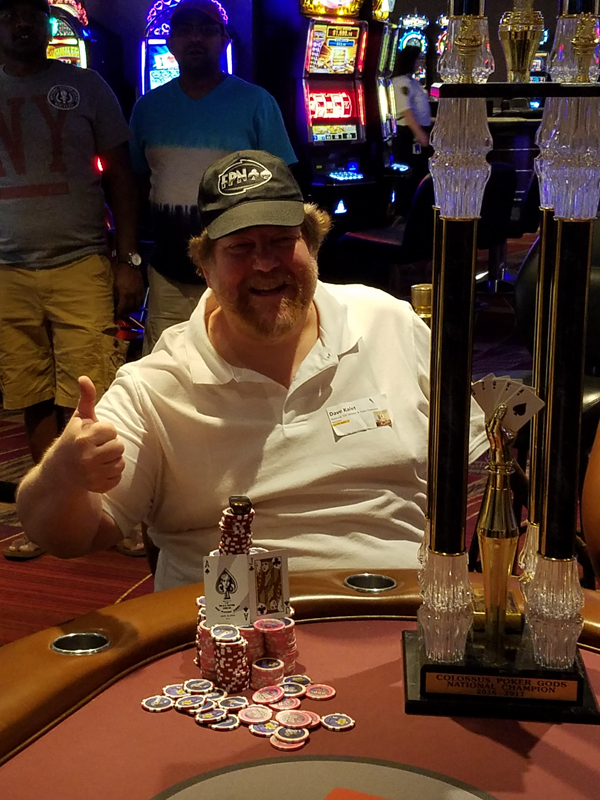 Tom won a $100 tournament buy-in of his choice.